Almost bursting out of their uniforms, the two female soldiers pictured on the right are hardly people you would turn to for tips on a healthy lifestyle. But amazingly, one of the soldiers lectures on nutrition and the other cooks for the Royal Fusiliers – adding to the fury of troops over how top brass have failed to give fat squaddies their marching orders. Both the pictures attracted cruel comments when they became memes on social media. Furious soldiers have spoken to this newspaper after we obtained figures that reveal hardly any of the Army’s nearly 9,000 troops diagnosed as obese have been medically discharged. They want the Army to take a tougher approach towards ‘fatties in the ranks’ who they claim would be useless on the battlefield because they are so out of shape. According to the latest Government statistics, just 63 troops have been booted out for being obese since 2007, while soldiers who are obviously overweight have been given responsibility for encouraging healthy eating. 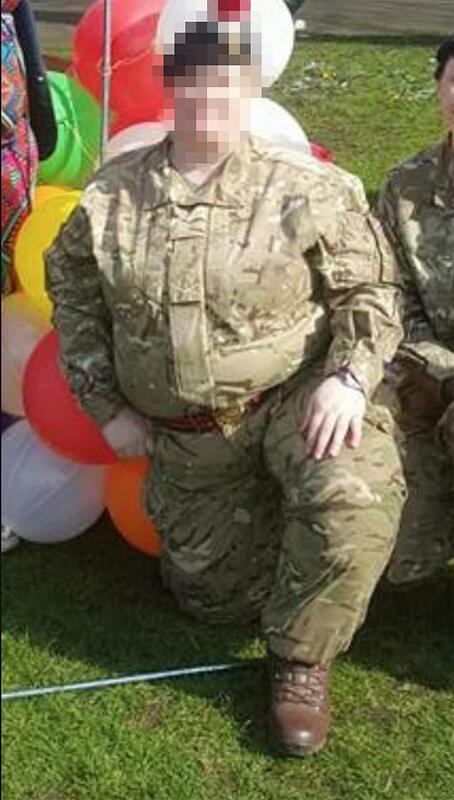 Troops complained to The Mail on Sunday after listening to a lecture on nutrition from the Royal Army Medical Corps instructor pictured here who appeared to not be taking her own advice. We have hidden her identity. One soldier said: ‘Her advice was sound on proteins and carbohydrates and when to eat or avoid certain foods, but her message was lost on some people because of her appearance. ‘It’s just not right people wearing the uniform when they’re in that condition. You want somebody giving you nutrition lectures who looks super-fit because then the blokes are inspired by that person. Around 900 British personnel are permanently based in the Baltic state, where average February temperatures are -6C. 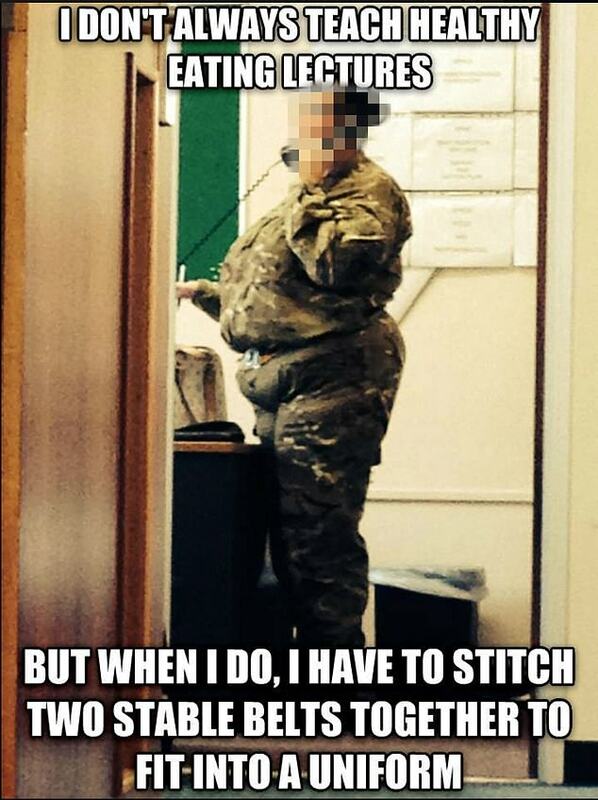 Figures reveal just how overweight troops have to be to get booted out of the Army. Of the ten soldiers dismissed in 2018 for being obese, the heaviest pair weighed 24 and 25 stone respectively. A worrying number of troops are also failing fitness tests, in particular the standard eight-mile speed march while carrying a heavy pack, which must be completed in under two hours. Almost 8,000 soldiers – one in ten of the total strength of the Army – have failed to beat the clock in the past 12 months. Last night, former infantry commander Colonel Richard Kemp said top brass should be stricter with soldiers who can’t keep pace or slim down. ‘It is embarrassing to see troops in such poor physical condition wearing the uniform. They are only retained because of the manpower crisis which the Government has failed to solve,’ he said. ‘These individuals would be a danger to themselves and others in any sort of fighting situation.